Wednesday, July 15 at 6:30pm. Notes: If we're not there right at 6:30 just hang out at the hockey rink a bit - we'll be among shortly. 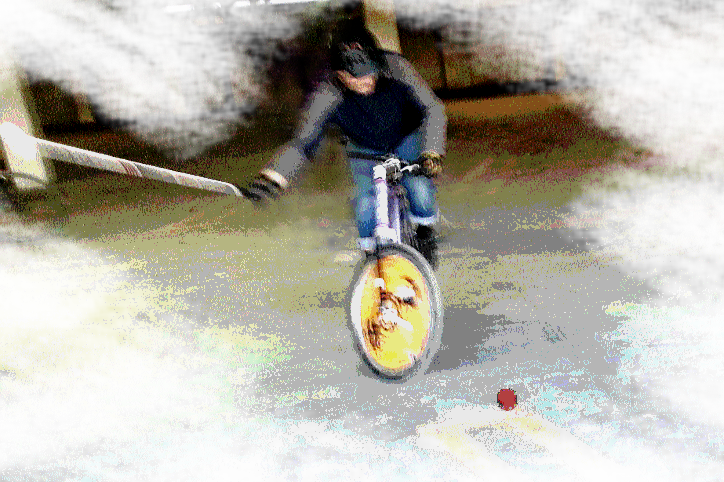 Come out & try the sport of Hard Court Bike Polo. This will be a casual night of pickup (3 X 3 or bench minor format). All regulars & old timers are welcome. Tell your friends who haven't played yet. There is SWAG for you newbies just eager to try it out - available first-come-first-serve. Bring your bike, a helmet & some beat up work gloves. NOTE: Inglewood court is being resurfaced 2015jul15w. So it likely won't be available. There is a John Mellencamp concert at the Jubilee so ACAD is not an option. We'll be using a backup location - Ramsay Community Rink the corner of Ramsay St. & Margaret Ave SE, Calgary, AB !!!! STAY TUNED FOR UPDATES !!! !